You missed the AWS Pop-up Loft & Innovation Lab last year in Munich – no problem! Just visit the Innovation Lab at the Summit and learn more about our demonstrated and hands-on customer use cases. Visit the AWS Training and Certification Lounge to recharge and relax. Talk to the AWS Training & Certification Team as well as the German Trainings Partner TecRacer, Fast Lane and TÜV Rheinland to find out how you can work with them to improve your business on AWS. Are you AWS Certified? As a special way of recognizing your achievement, you are invited to attend an exclusive AWS Certification Appreciation Reception in the AWS Certification Lounge from 10:30 - 12:30 PM on May 18th. Come join us and meet with other technical experts and evangelists in your area who have achieved AWS Certification. This invitation-only event is also your chance to network with Stephen Schmidt, AWS Chief Information Security Officer. The AWS Certification Lounge is open to AWS Certified Professionals, AWS Summit registration is required. Meet your technical experts and get answers to all your questions. The Ask an Architect bar at the AWS Summit Berlin is a place where you can get a 1:1 session with a member of the AWS Solutions Architect Team. No appointment is necessary. The AWS tech experts are here to help with the AWS foundational questions and the highly technical ones tied to your specific use case. So, bring your questions about AWS architecture, cost optimization, services and features, and anything else AWS-related. Stop by the Demo Center to get your questions answered by AWS engineers and product leaders. Watch and listen our AWS experts showing high level technical live demonstrations. 100% content - 0% slides. Interested in a career at AWS Germany? 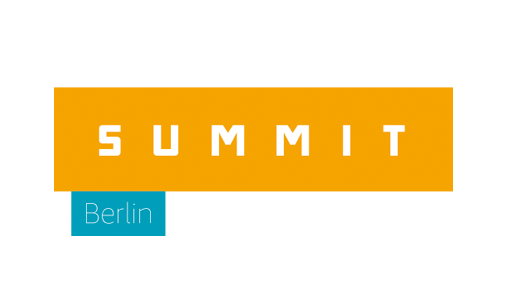 Reach out to our Sourcing Recruiter on site to arrange a personal meeting at the AWS Berlin Summit to discuss career opportunities. Review all current openings in Account Management, Solution Architecture, Partner & Alliances, Professional Services, Technical Training, Enterprise Support and Engineering across Germany. AWS Partner Tour: A guided tour to get an overview of the AWS Partners on site. If you are interested in this tour, please meet us at 03:15 PM at the partner pod at the AWS booth. Hang out with your peers and exchange experiences and best practices. Take the chance to visit the startup exhibition to meet startups with existing workloads on AWS and get more insides on how the program AWS for startups can lift up your business. AWS Marketplace provides a new sales channel for ISVs and Consulting Partners to sell their solutions to AWS customers. Pass by the Marketplace in the Expo Hall and learn from existing Marketplace members. Stop by the AWS Marketplace booth to learn how to deploy Software in the AWS Cloud in minutes, and how AWS Service Catalog makes it easier to manage your existing software portfolio. Learn how international organizations, like Europol and GREE, are leveraging AWS Marketplace for their cloud solutions. We will have AWS staff and 3rd Party Software Vendors like F5, predicsis, Plesk, Matillion and splunk on-hand to demo AWS Marketplace and answer your questions. Whether you are looking to buy, or looking to sell through the AWS Marketplace, our experts are ready to answer your questions. Please join us for a unique opportunity to listen to a panel of AWS and Amazon leaders share their perspectives on our vision, culture and what a “typical” day looks like at Amazon. On stage Gabriele Eder (Head of Named Account Management, Southern Germany), Klaus Bürg (General Manager AWS Germany), Ralf Herbrich (Director, Core Machine Learning) and Joseph Hoolachan (Head of Commercial Segment Germany).